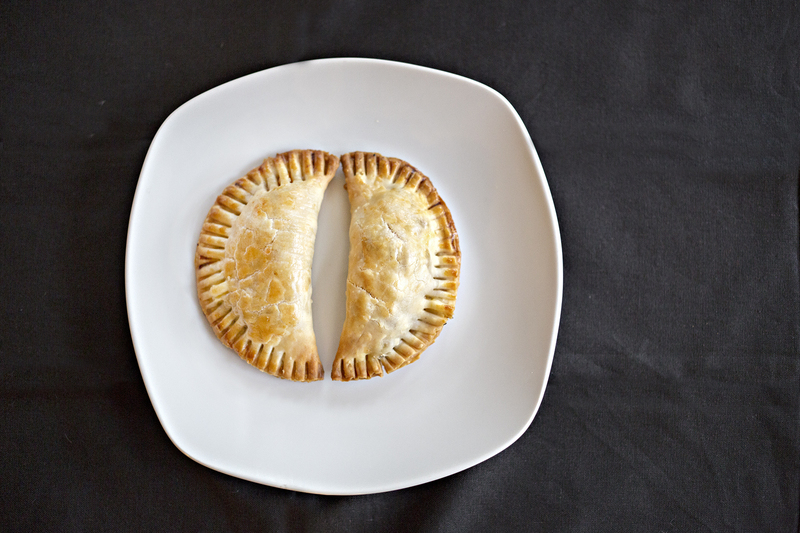 Cornish Pasty + Empanada = pastinadas! Otherwise known as empanasties. So, tell me how to make these empanada pasty things. So these little puppies were born because I was craving some comfort food, something I don’t normally do. But man, have we had some cold, crappy weather lately so I thought I’d give comfort food one last hurrah before spring pops up and that Texas sun begs for lighter fare, as once the warmer weather gets here she’s gonna stick around for 6 months. At least. I was looking into making Cornish Pasties; they are basically shepherd’s pie wrapped in puff pastry and baked. While I wanted comfort food, I’m a little stewed-out this season. 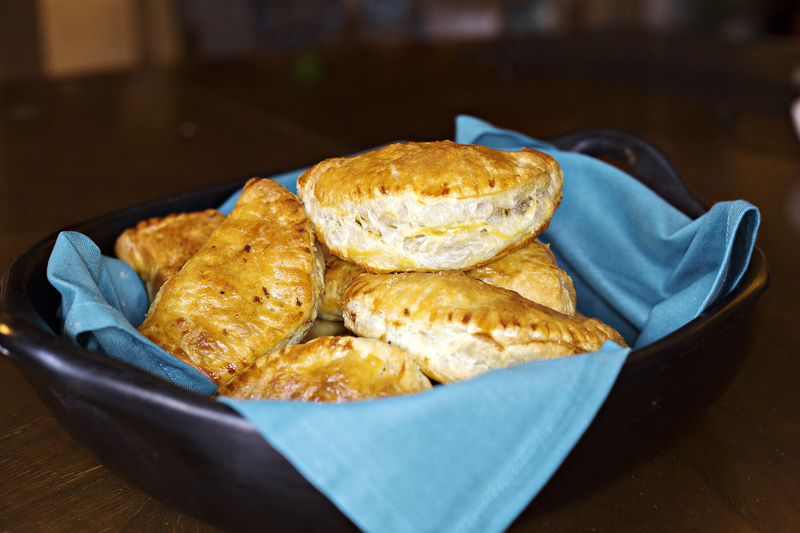 I thought hey – why don’t I make empanada filling and put them in puff pastry instead? Yes, it was an awesome idea, and you won’t be disappointed. See all that fluffy, flakey puff pastry? I think I could eat puff pastry every day. As both me and my willing associate had pie crusts in the freezer as well that we needed to use up, we tried both puff pastry and the more traditional pie crust. Puff pastry wins on being much easier to work with (surprisingly) and (not surprisingly) on being much better tasting. You can make your own dough if you want. 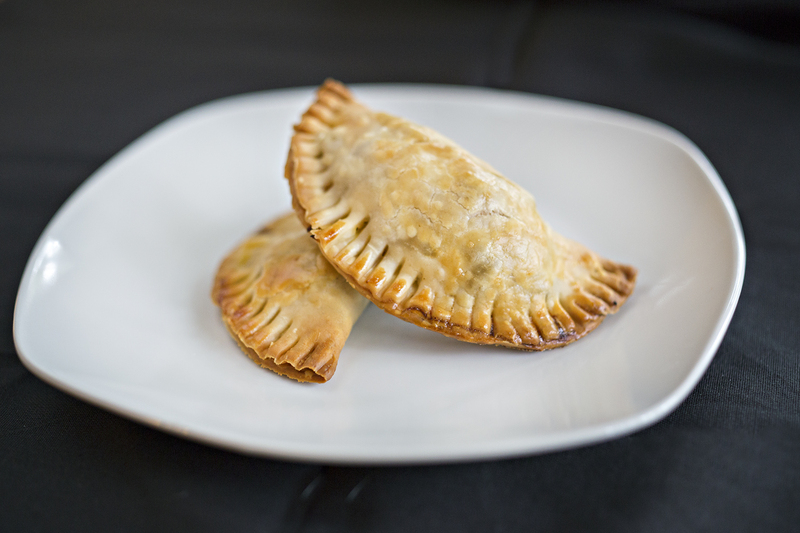 Laylita has a great post that’s pretty much everything you ever wanted to know about empanadas and more – and she even has a plantain dough you can make if you want something gluten free! Those have to be fried though. I’m sure you can make the sacrifice. I, however, do not pretend to succeed where others excel, so pre made dough is how I roll. If you want to use pie dough, you can literally just use that instead and follow the recipe exactly the same. Here is what they look like made with pie dough. Definitely more traditional, and while different they are equally as tasty! I was able to get 4 empanadas per sheet of puff pastry (and per sheet of pie crust as well), plus we combined the scraps and rolled them out. It would have made two more but we decided to make a giant one instead. So, you should get 18 empanadas out of this recipe, 16 if you decide to throw away the scraps. These can be assembled, then frozen (on a tray first, to prevent them from sticking together) and baked later. As for the filling, I looked and looked for beef fillings and found that there were about a million of them out there, so I pretty much just decided to do my own thing. The one thing I found more often than not was boiled eggs were included in the fillings. This is something that seemed weird to me and that I never in a million years would have thought of, but I thought hey – if everybody is doing it, it must be pretty good. So I said what the hell. And you know what? I like the egg in there. It adds a really good element of texture to it. It also means this can be substituted as a breakfast food. You can also include olives. In fact, this would be a great way to reconstitute leftover Picadillo, as I found several recipes where you basically just made that and used it as a filling. Heat the oil in a pan over medium high heat. Add the diced onions and the spices and cook until translucent. Add the ground venison and brown. Add the cooked sweet potatoes and stir around over the heat, slightly mashing them as you go. Take off the heat and toss with the hard boiled egg. Preheat the oven to 350. On a piece of parchment paper roll out one sheet of puff pastry. Take either a big biscuit cutter or a wide mouthed glass and cut out as many circles as you can. Repeat with the other 3 sheets of puff pastry. Put a large dollop of the filling in the center of each circle. You can kind of stretch the puff pastry a little so don't be shy. Fold the pastry into a half moon and press down the edges with fork tines to seal. Repeat this process with all the circles. You will probably have some leftover filling. Place the pastries on a parchment lined or greased baking sheet. Bake at 350 for about 20-25 minutes, or until the tops are brown. Non-game substitution: You can use ground beef. Or ground anything really. Vegetarian substitution: Black beans! Cheese! Ohhhh, cheese! Why didn’t I put cheese in these?